Improve your relationship with your child, while maintaining your parental role and your meeting your responsibilities. Enhance communication with your child so you ’ll know what is really going on in his or her life. Learn to use the language that your child is most likely to hear to enhance your effectiveness. Teach your child how to make good decisions even when you are not around. Get the cooperation and respect you deserve from your child. Learn techniques to prevent your biggest fears from occurring. Empowerment Parenting is an exciting way to parent today’s child. More punishment, control and coercion is NOT the answer, neither is abdicating control to your children! We cannot continue to parent our children the way we did when they were younger children, or even the way our parents parented us. The world is different! Children are different! If we do not learn new innovations in parenting, our efforts will likely be ineffective at best, and actually destructive at their worst. 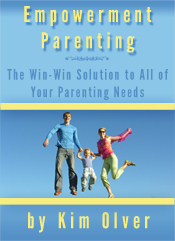 Buy this e-Book and learn about the inherent conflict between parents and their children, as well as ways to circumvent it. You can reasonably insure your child’s safety and still maintain a positive relationship. Once you learn the things you will need to know about yourself and your child in this e-Book, you’ll realize that it isn’t so difficult, after all, to relate to your child, still stay the parent, and keep your child safe at the same time. 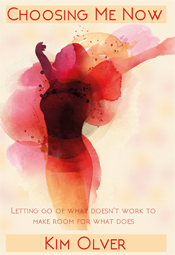 Being the parent of a child doesn’t have to be burdened with frustration, conflict and worry. It can be fun, creative and relatively simple! Think about it, parenting is probably the most important job you’ll ever undertake and the one for which you are the least prepared and trained. All we have is the model of how our parents parented us. Even if you were lucky enough to have a stupendous example of parenting, what was successful thirty or forty years ago, may no longer be effective because the context in which we are operating as parents is vastly different from the one from which our parents operated. You update your computer programming don’t you? Why wouldn’t you update your parenting skills, as well? What worked for your five year-old, will probably not work as well for your 15 year-old. Empowerment Parenting provides the answers.